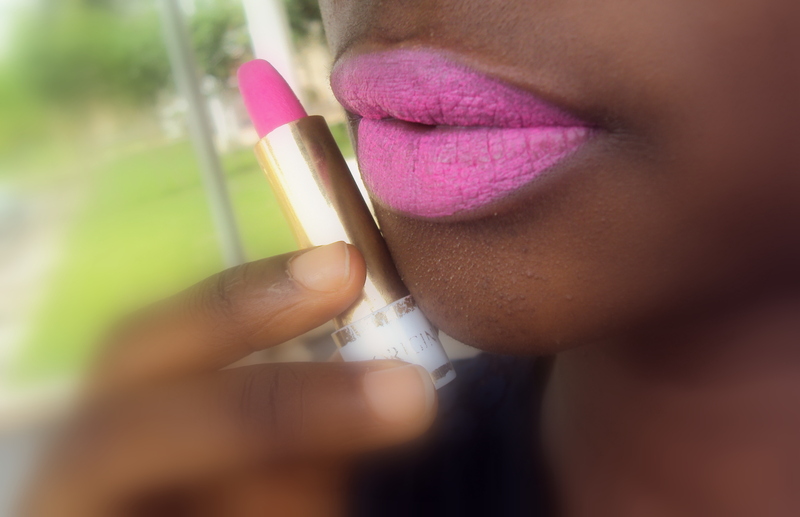 Island Beauty Lipstick Review – Pure Pink. 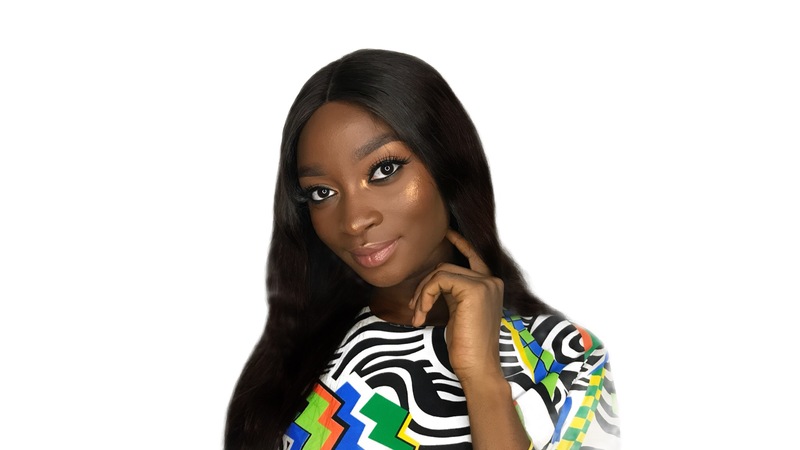 I’d be reviewing Island Beauty’s lipstick in Pure Pink, I have reviewed two of their lipsticks already, click here and here. Product: Island Beauty Lipstick in Pure Pink (more like yucky pink). 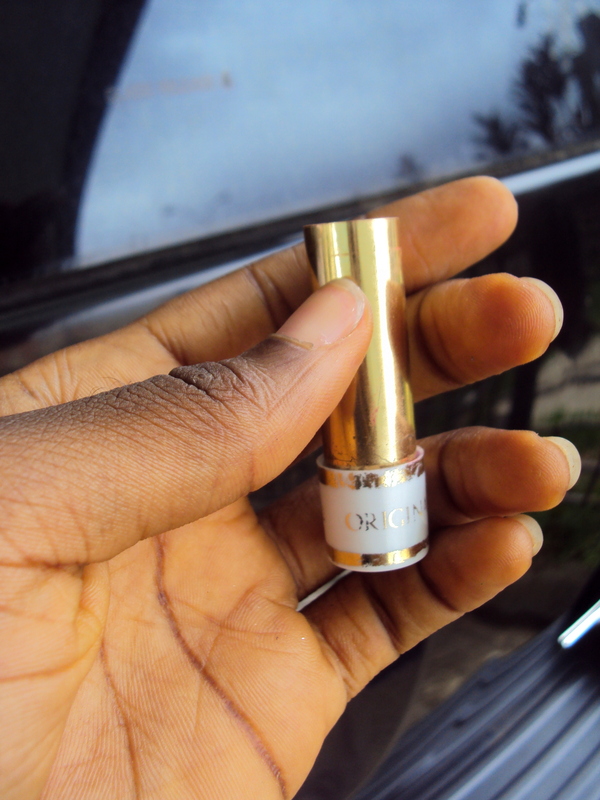 Where to buy: Mallam/Beauty store, I got mine from a Mallam in Wuse market. Pigmentation: Overly pigmented that it breaks/cracks etc, uggh. How long does it last? I cleaned it off after swatching because it coagulated and kept breaking so I can’t tell how long it will last. Application: It doesn’t apply smoothly at all, coated it twice or thrice for the shade above. Texture: It is so dry, like overly matte, not as oily or semi oily as Wild Red & Black Raspberry. Will I buy again? Even if it’s the original, I’d have to read another swatch review before buying again. I bought it before and it had this same breakage problem so you know where I’m coming from. < Previous Island Beauty Lipstick Review – Black Raspberry. Next > Island Beauty Lipstick Review – Black Velvet. Same issue i had when i got this shade but i just decided to try “ombre lips” (not sure thats what its called) with it. That is i added purple lipstick on it . And wolla it came out nice. At least preferable. For real? I think it’s safe to say the Pure Pink is a no-no. 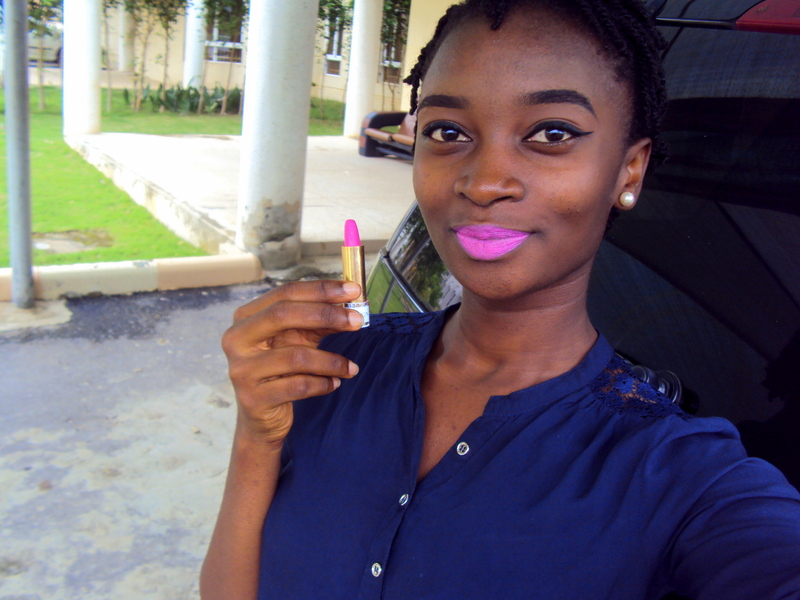 Yes ombre lips, I can’t even do that with this lipstick, the breakage is annoying ehn. I’ve bought this shade before; I used to refer to it as Nicki Minaj pink. I must have used it 3 times and dumped it because the shade was just too much for me and it always looked like chalk. I understand Dear. Used it before but I tossed it down the bin because of these reasons. Would prefer another shade to this one over and over again as long as it doesn’t coagulate and break. Yes, I think Pure Pink is a mess (the ones I’ve tried). They have new shades for 2015, but they’re not in Nigeria.